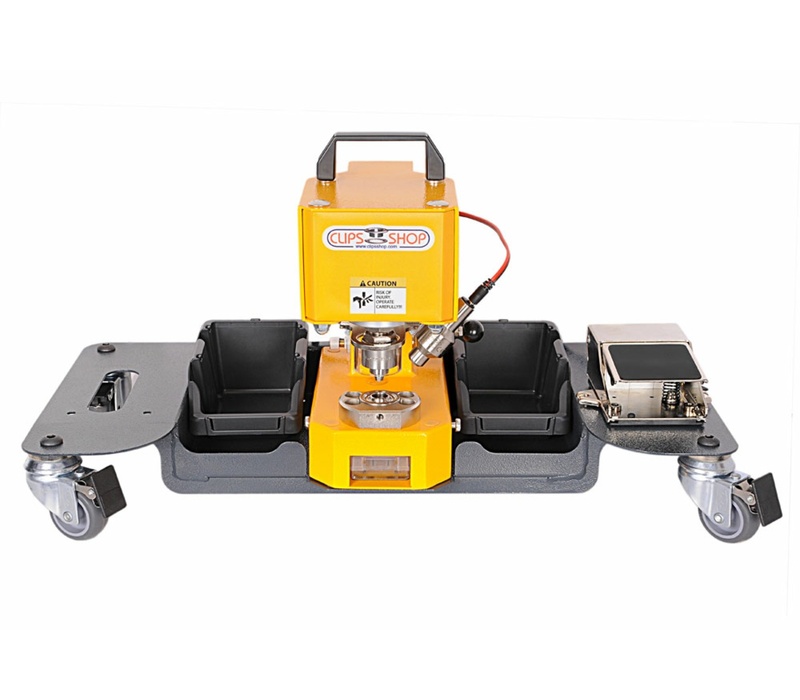 The lightest pneumatic machine in the industry placed on a smart and light mobile cart… They make a great couple, don’t they? Our team carefully considered every detail for you. Your work can stay where it is as you are going to ride these little monsters around your work effortlessly. 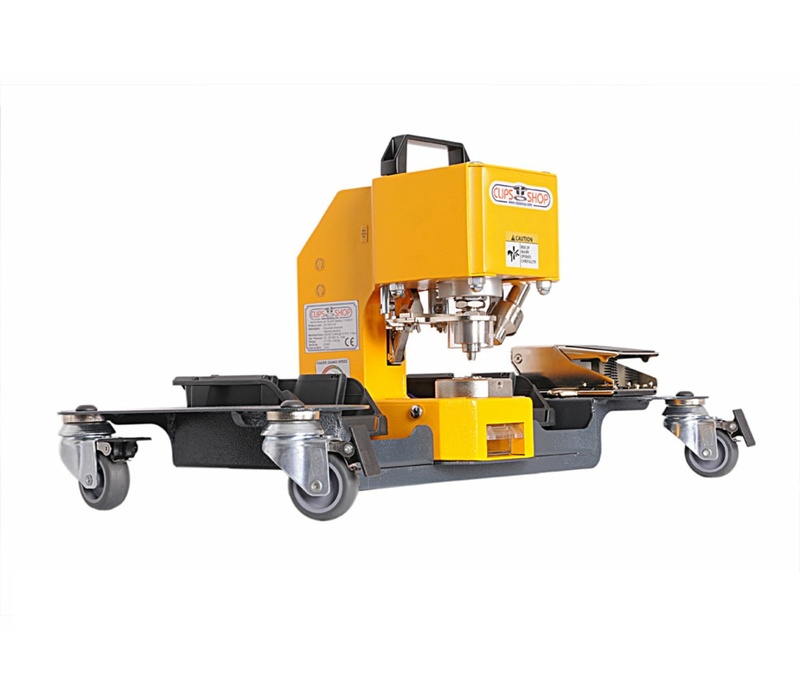 We designed the CS-TIDY-W to mobilize the CS-TIDY–series pneumatic machines, to facilitate using it to set the grommets on large items, such as X-large banners, truck covers, and tarpaulins. 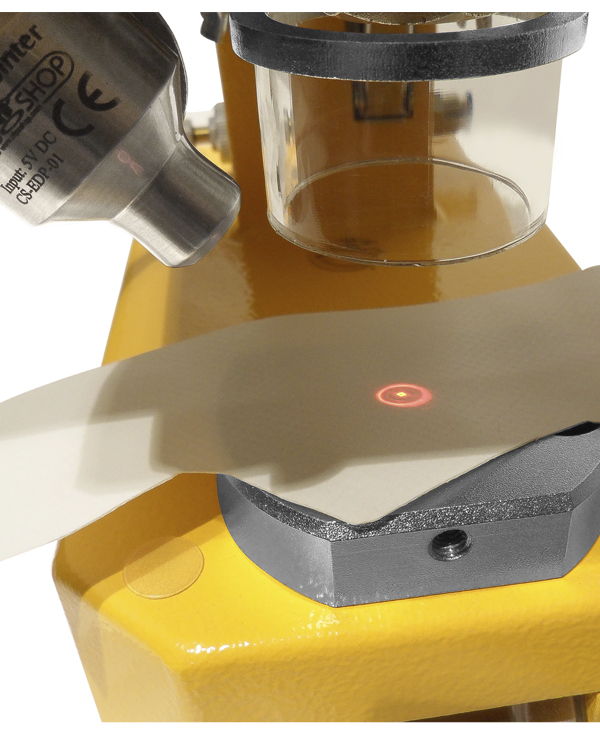 Like our other accessories, the CS-TIDY-W is also engineered for making your work quicker and more efficient. 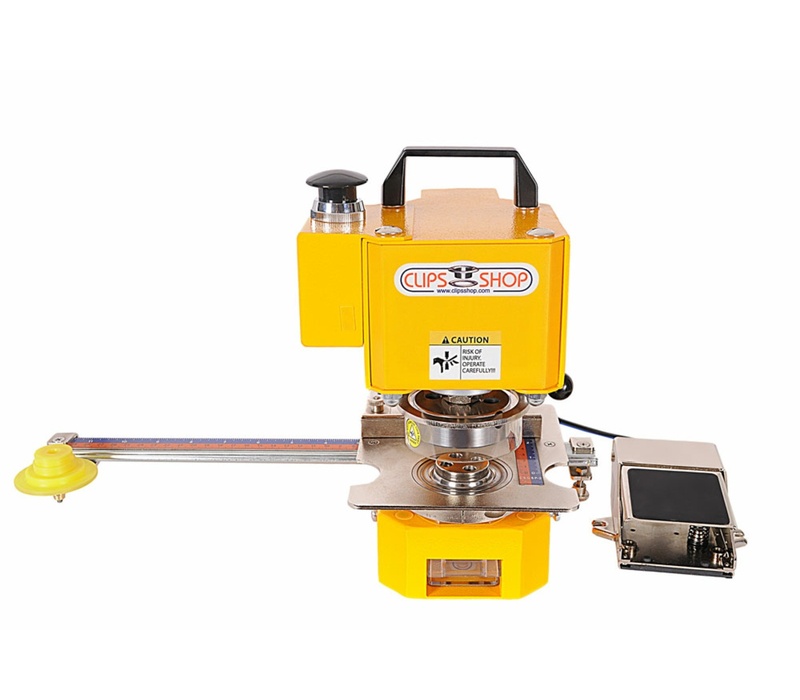 Use with ClipsShop's innovative CSTIDY-41 and CS-TIDY-51 portable pneumatic grommet presses. 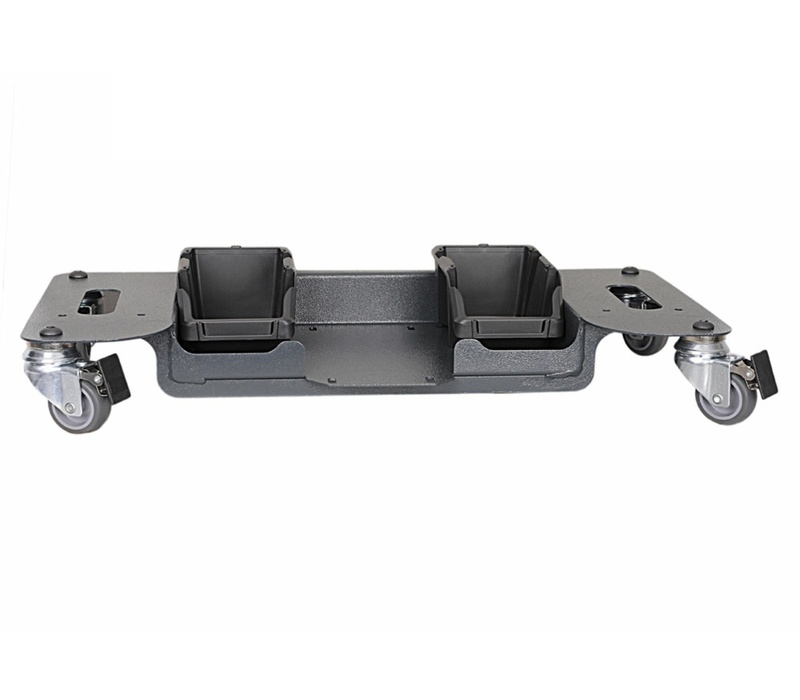 Mobilization, ease of use, durability, safety, easy assembly, and carriage of all necessary products with the mobile cart. 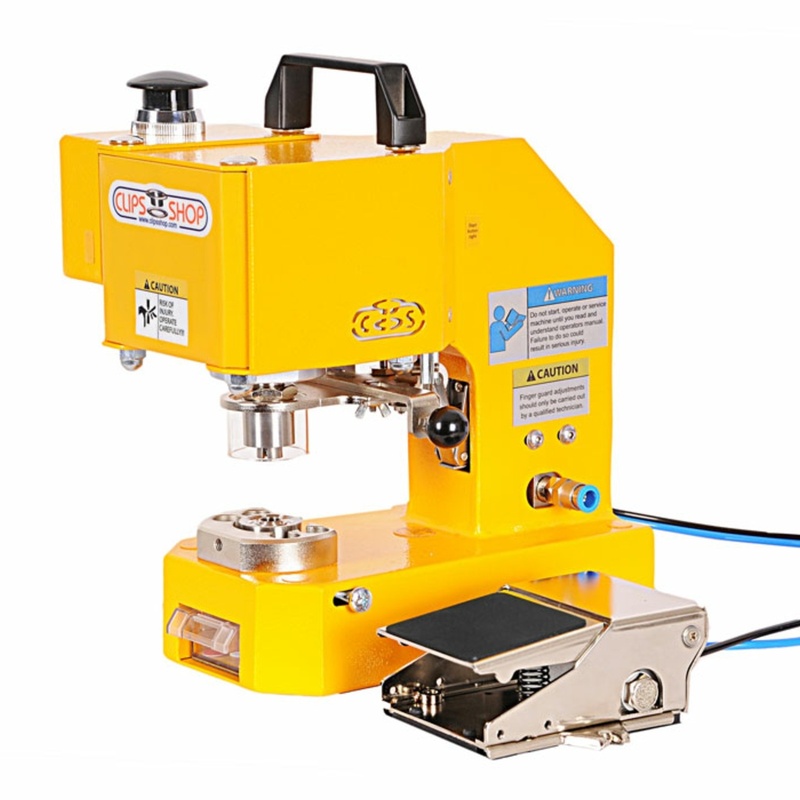 Special design to be as close as possible to the ground to ease the lifting of your material to the machine. 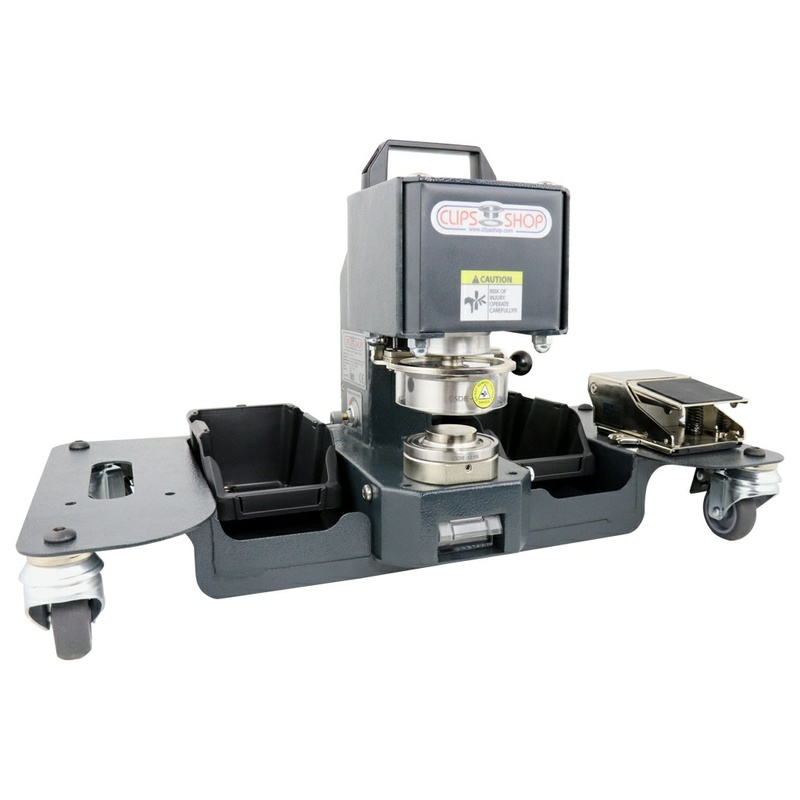 Lockable and 360 degree, rotatable heavy-duty wheels. Durable construction for long life span. 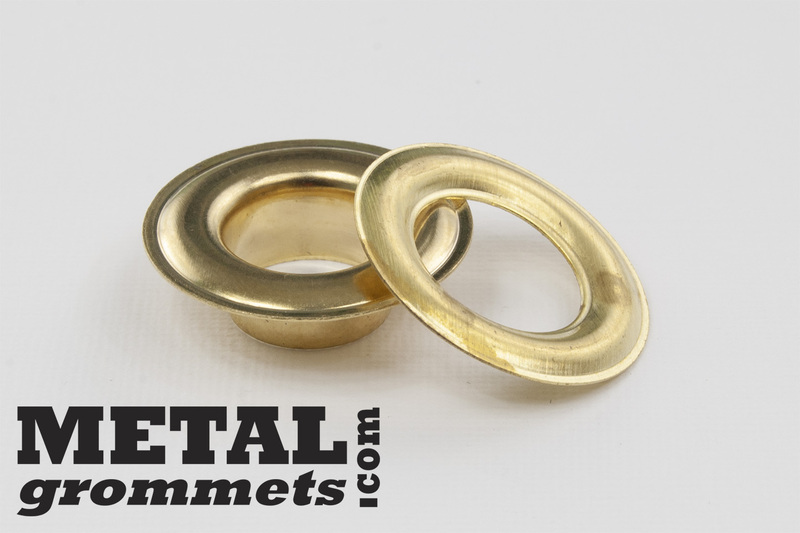 Mounting holes for attaching the machine to the cart. Mounting holes for the foot pedal. 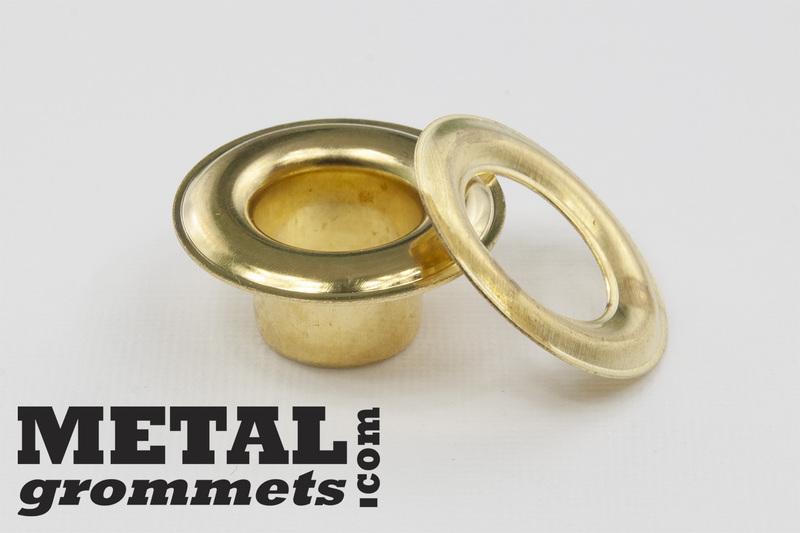 Containers for carrying washers and grommets. Manual holding slots for easy lifting.